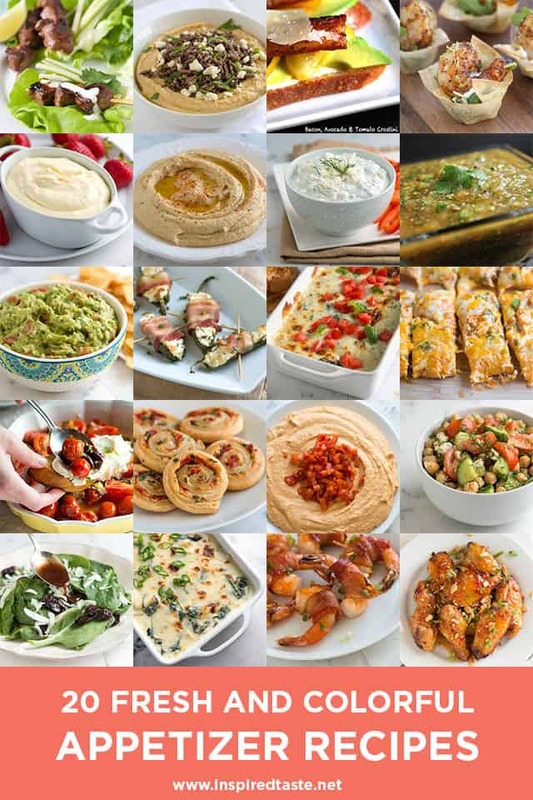 From smooth and creamy hummus to crisp cool salads, here’s 20 fun and easy appetizer recipes perfect for parties, barbecues and picnics. Choose one to start a meal or choose many to make up a meal. Enjoy! 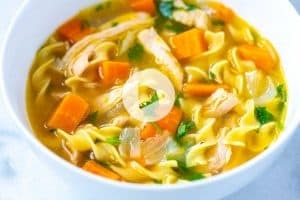 Scroll down for all recipes. Click on the link below photos (or the photos themselves) for full recipe. 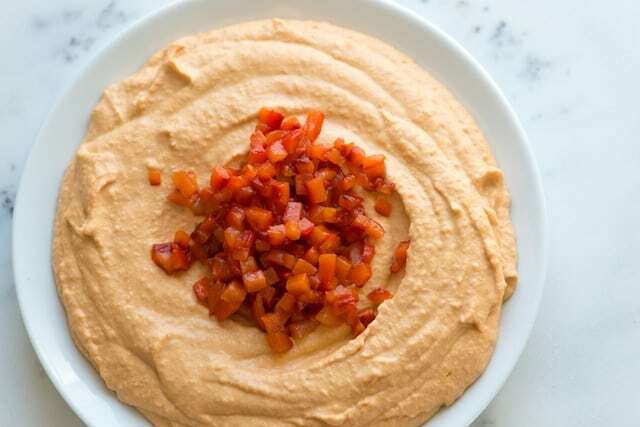 Try our simple and creamy roasted red pepper hummus recipe with sweet red bell peppers, canned chickpeas, garlic and tahini. 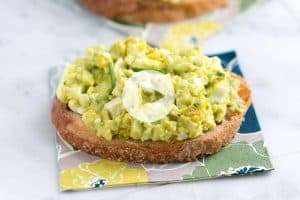 Easy Guacamole — Guacamole recipe secrets and a simple recipe with avocados, lime juice, diced tomato and cilantro. Try our simple hummus recipe with canned chickpeas, garlic, tahini and olive oil. Plus, the secret to better than store-bought smooth hummus. An easy and fast bacon wrapped shrimp recipe with a spicy maple glaze made with sriracha and maple syrup. 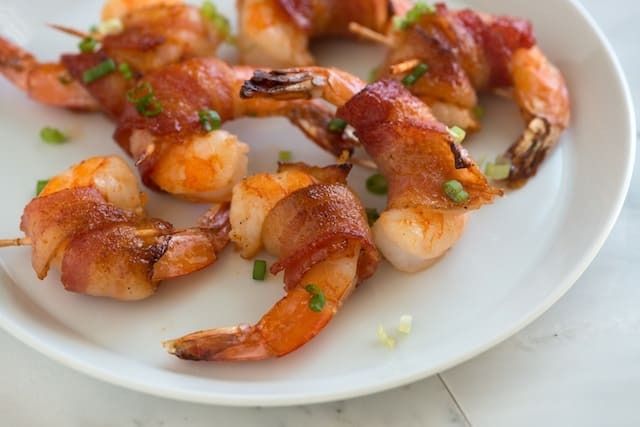 Plus, the secret to perfect and crispy bacon wrapped shrimp. Make these bacon-wrapped, cheese stuffed jalapeno poppers in the oven or on the grill in less than 30 minutes. 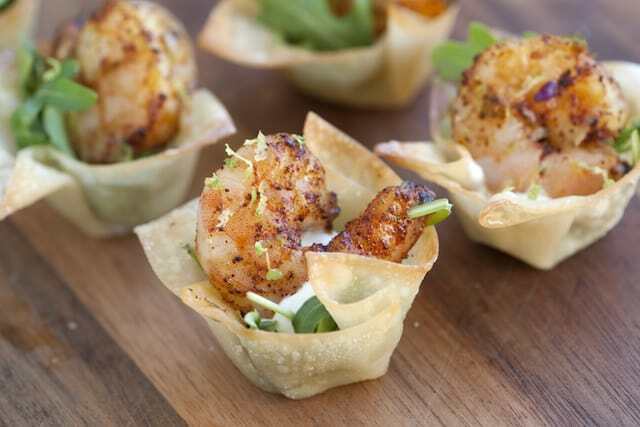 Wonton shells are baked in the oven then are filled with a few arugula leaves and sour cream and topped with a chili lime baked shrimp. A spiced up and easy ground beef recipe with cumin, coriander and spicy cayenne pepper that’s added to a big bowl of creamy hummus. 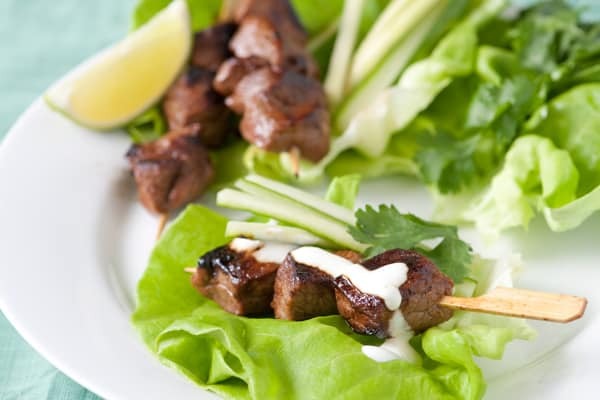 Honey, Sriracha, cumin and cinnamon come together as a marinade for beef skewers. 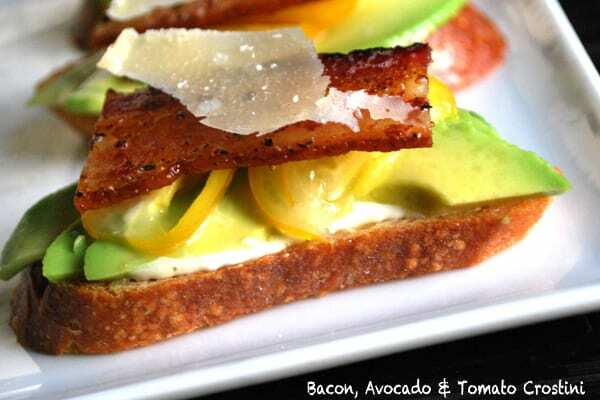 Bacon tops avocado, tomatoes and a zesty mayonnaise for the perfect crostini. 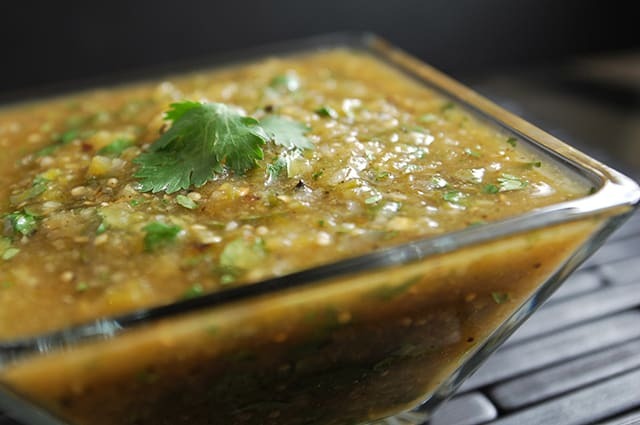 A full flavored salsa verde recipe that achieves lots of flavor from roasting tomatillos, jalapeno, garlic and serrano pepper. 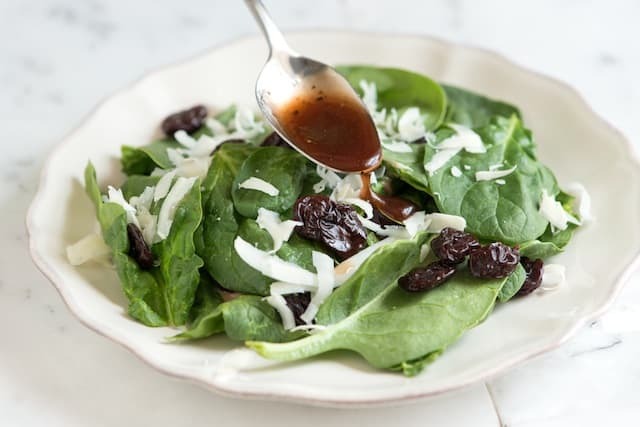 Simple homemade balsamic vinaigrette recipe. Plus, two extra recipes for making creamy dressing and strawberry balsamic dressing. 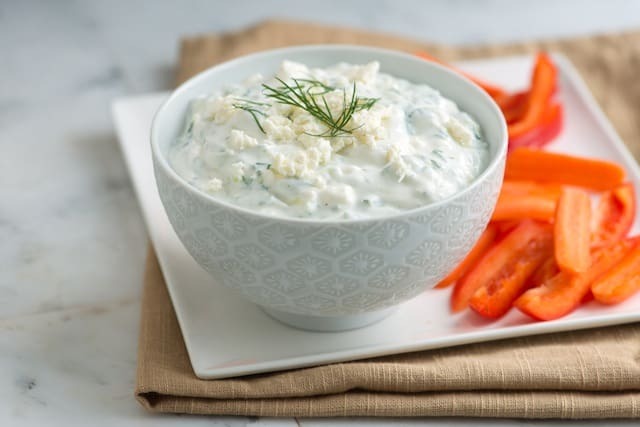 Thick and creamy tzatziki yogurt dip with fresh cucumber, lemon, dill and feta cheese. 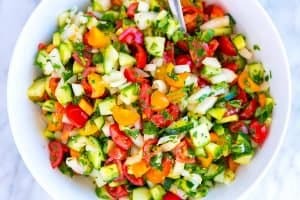 Serve with veggies, pita chips, grilled meats and even on sandwiches. 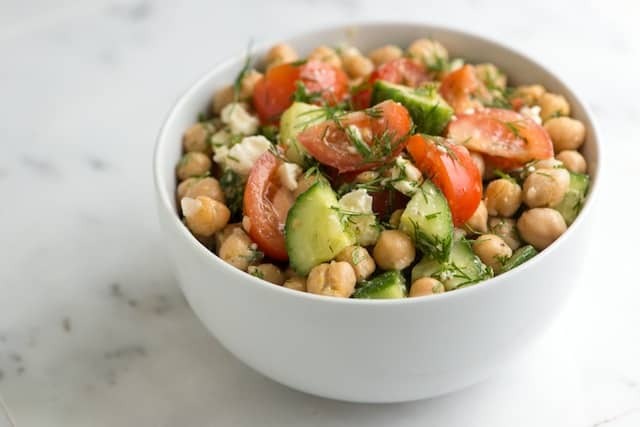 A chickpea salad recipe with bright lemon, fresh dill, crisp cucumber and sweet tomatoes that’s easy to make and can be made in advance. You’ll love this easy baked chicken wings recipe with just three ingredients! Sweet chili sauce, chili paste and soy. 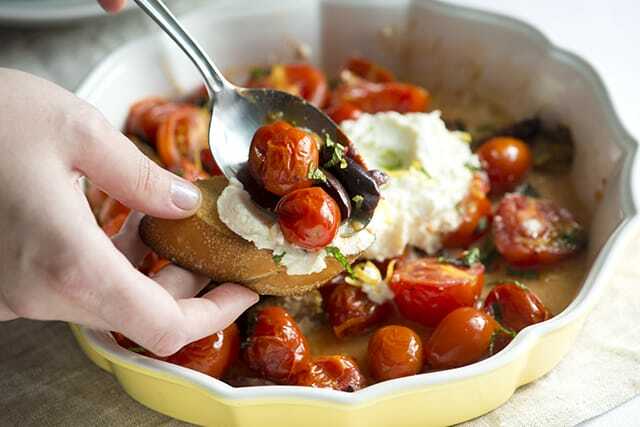 Serve these lightly roasted tomatoes with olives, ricotta cheese and fresh mint family style with lots of bread. Easy fruit dip recipe! 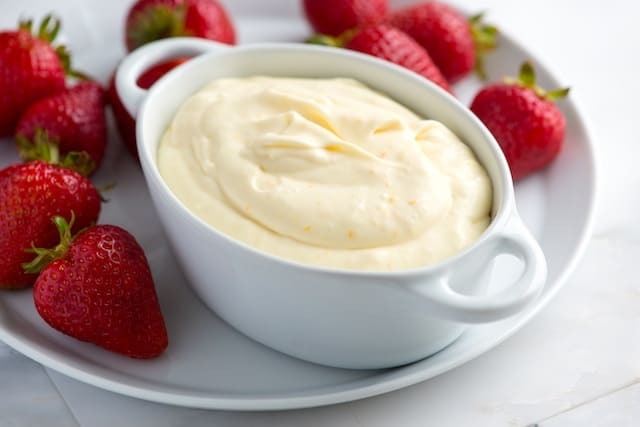 It’s so easy to make this ultra creamy fruit dip recipe with fresh orange. 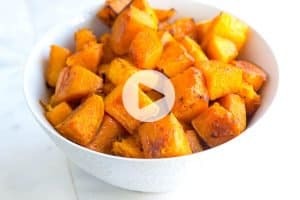 Perfect with fruit and great with cookies. Simple pinwheel recipe. 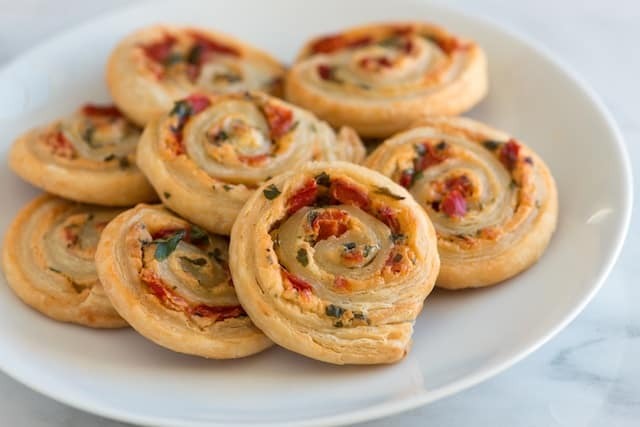 A puff pastry pinwheel recipe with garlic-herb cheese spread, roasted red peppers and parmesan cheese is perfect for parties. 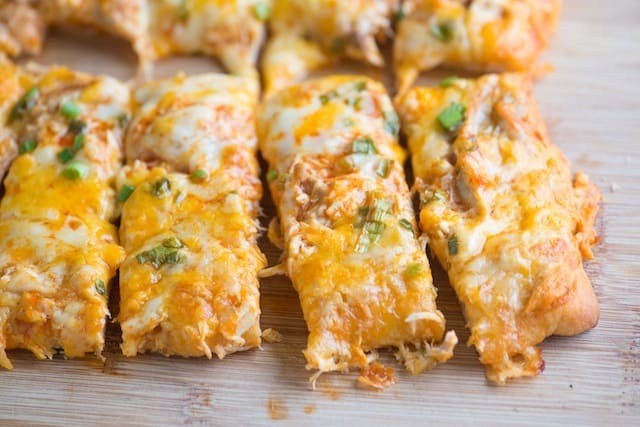 A fun and easy buffalo chicken pizza with shredded cooked chicken tossed in buffalo wing sauce and cheddar cheese. 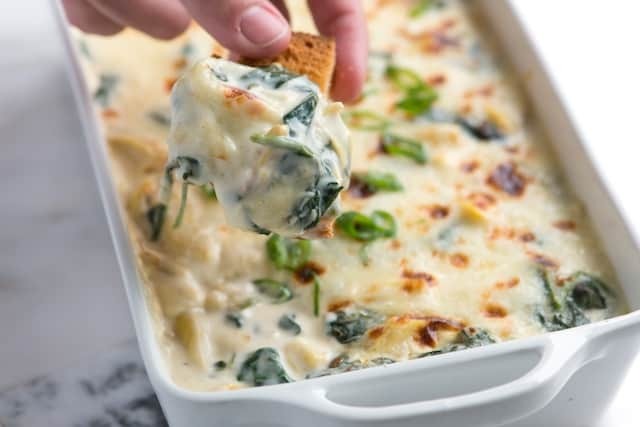 Three cheeses, artichokes and fresh spinach makes this warm spinach artichoke dip recipe extra creamy and perfect served alongside pita wedges, vegetables or bread. 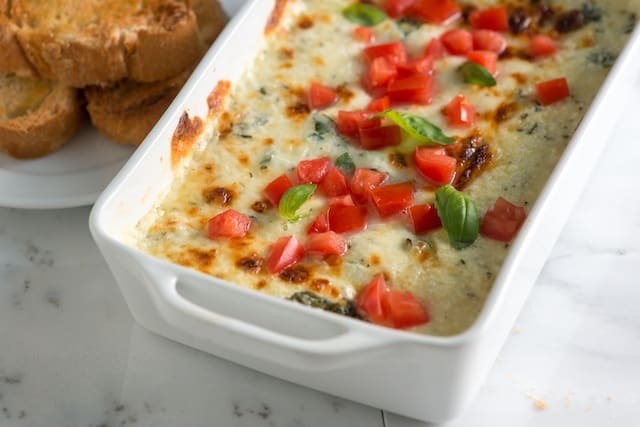 This basil-scented and baked cheese dip is very easy to make and is the perfect appetizer to serve friends.